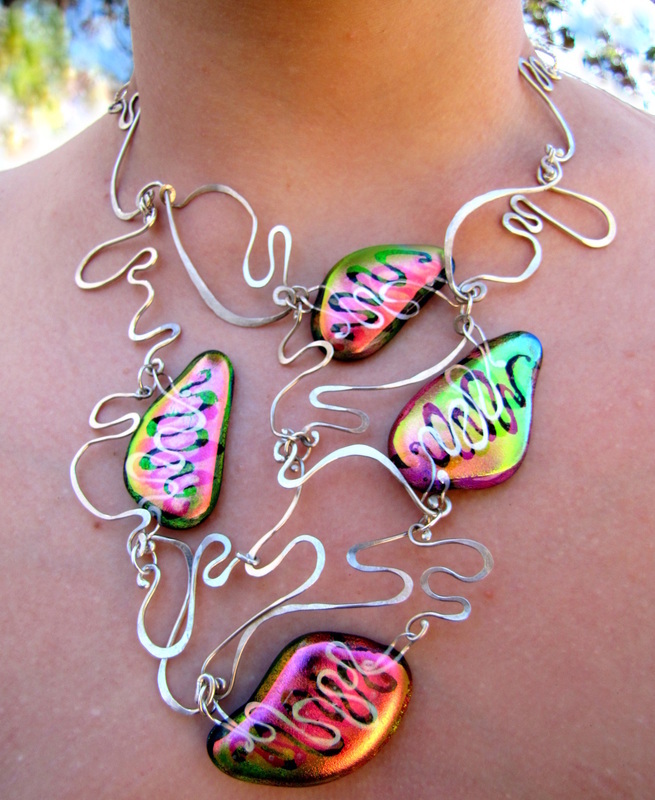 Four fused glass elements created with two layers of etched Dichroic glass with silver wire embedded between the layers. 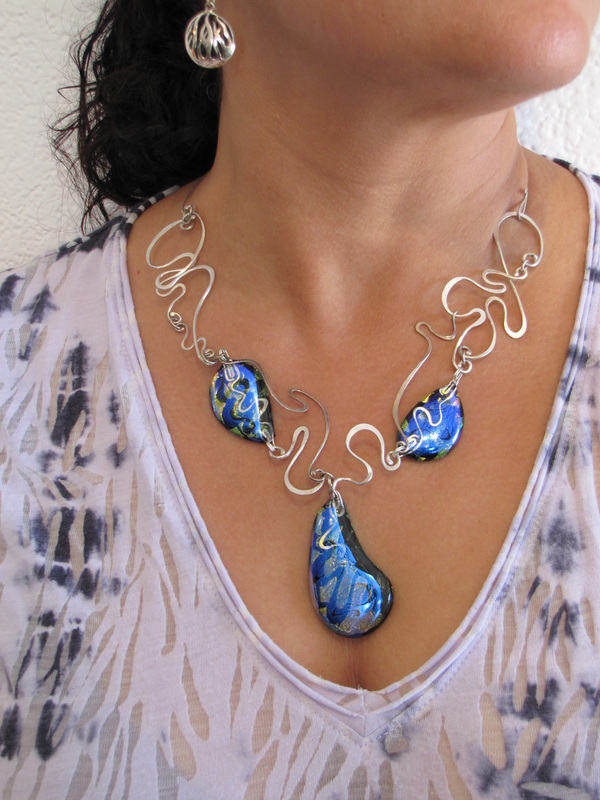 Hang from hand wrought silver wire. between the layers. Hang from hand wrought silver wire. 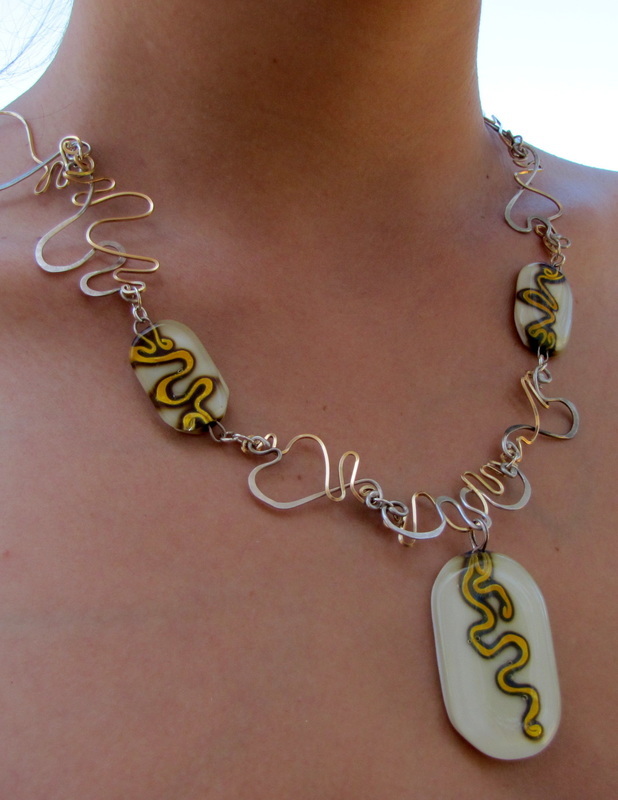 Three fused glass elements, silver wire embedded between a bone and clear layer of glass. Hang from hand wrought gold and silver wire. First place 2013 wearable. category, Art Glass Association of Southern California. 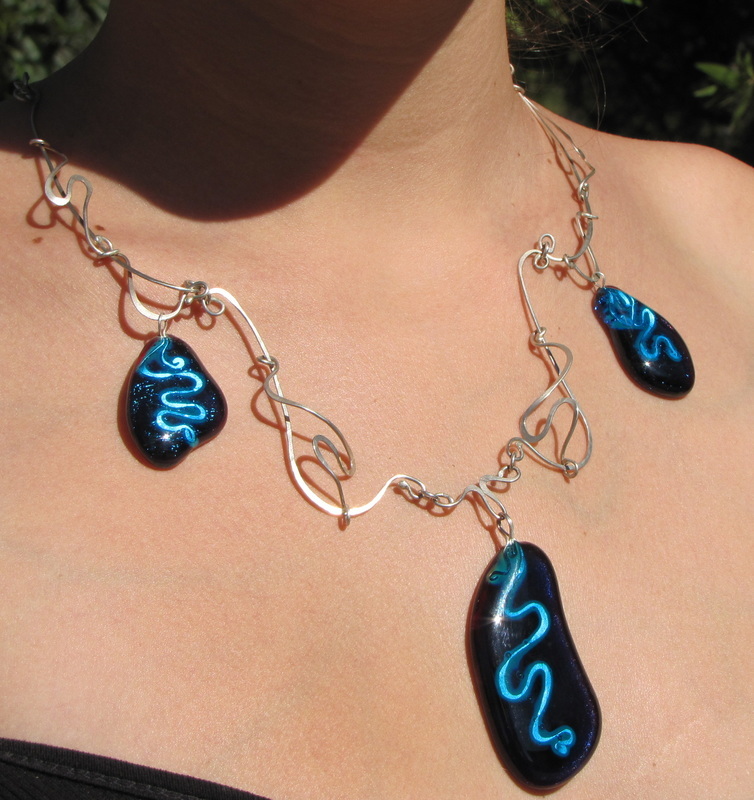 Three fused glass elements with silver wire embedded between Iridized and turquoise glass. Hang from hand wrought silver wire. 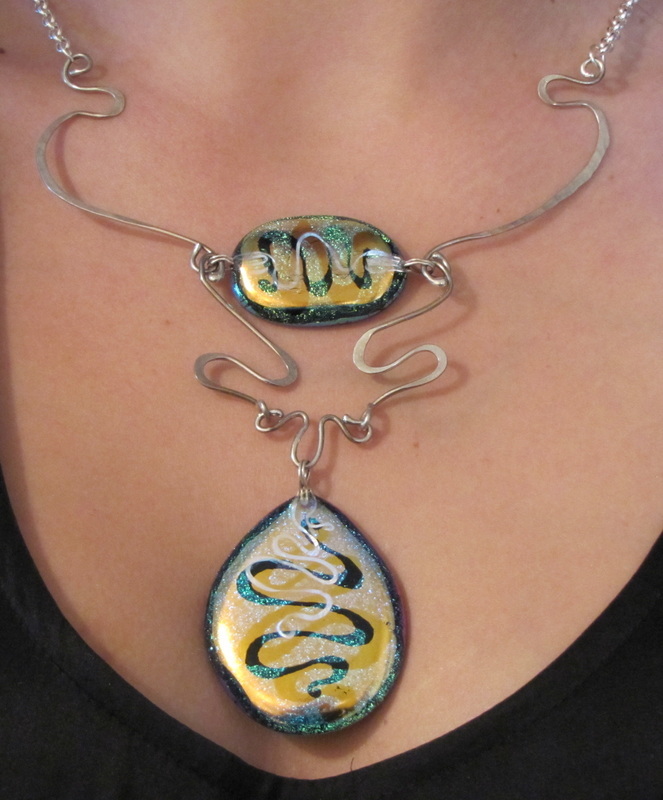 Three fused glass elements created with two layers of etched Dichroic glass with silver wire embedded between the layers. 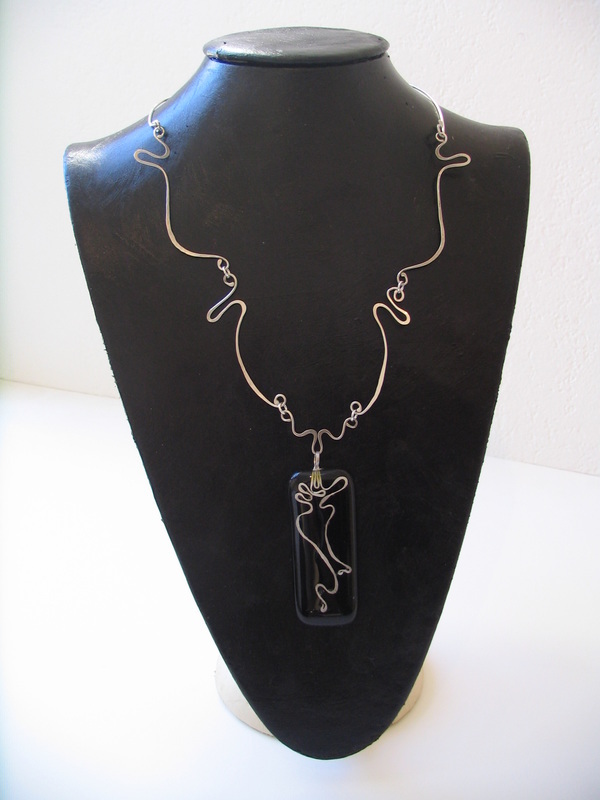 Fused glass element with silver wire embedded between layers of black and clear glass. Hang from hand wrought silver wire.